Throughout the history of the church, at least from the time of the middle ages, there were a number of sectaries that came about which challenged the authority of the church. There were the Waldensians, the early Franciscans, the Fraticelli, and a number of other small movements who challenged the established authority. Certainly by the time of the Reformation, which was the largest and most complex challenge to the established church, would one see a rise in other sects spawning out of the controversy at large. These were known as the Anabaptists. At first they appeared in the guise of “prophets” who came from Zwickau and tormented the professors at Wittenberg while Luther was in captivity in Erfurt for a time, claiming direct revelation from God was given to them. Thomas Muntzer ultimately lead these rebels to their demise in a war that lasted a few hours. However, this group opened the door to a “Pandora’s box” that could not be quickly shut, and would have an affect on the church from that time until the present day. At first the Anabaptists who came out of this short lived rebel movement, the “Brethren” as they called themselves, questioned infant baptism. George Blaurock, on January 21, 1525, asked another Brethren to baptize him (Conrad Grebel (c. 1498-1526)) and then Blaurock immediately began baptizing others of the community. They believed they were administering the only form of baptism that was valid. Everyone else, from the time of the apostles until that momentous event, was simply wrong in their theological view of the sacrament, and no one had administered the act correctly up until this point. The goal of the Anabaptists was the total restoration of New Testament Christianity that they felt had been lost. The church was to be consisted of only those who recognized the truth of the Gospel and who professed faith in Christ. Predestination, to them, was an excuse to blame God for sin, and instead, they pressed the individual believer to make a profession of faith on their own and by their own will. They called this a “yielding” (gelassenheit) to God. At first they baptized professors by pouring, and later believed that immersion was the right standard. They cut themselves off from the state, as well as the hierarchy of the church and began what they thought was the true New Testament church. Among Anabaptists there were also the revolutionary sects which parried with the state and found themselves breaking the law, and subsequently being burned at the stake as a result. There is a long list of martyrs in the Anabaptist tradition. Among them is Dr. Balthasar Hubmaier (1485-1528) the reformer of Waldshut who was one of the most intellectually gifted of the bunch. Also worthy of notation is Menno Simons (c. 1496-1561) a Catholic priest who decided to join the Anabaptists and became a leader in the Obbenite movement (named after its leader Obbe Philips). Menno Simons was one of the few who wrote for the Anabaptists. His Foundation of Christian Doctrine is a work similar in tone to many of the early church writings – practical and devotional. The basic idea of the work was to press the reader to escape the world and separate from it by personal conviction and repentance. He purposely did not use terms like Trinity and Incarnation believing them to be useless and instead relied on biblical ideas. However, his Trinitarian doctrine seem to be somewhat orthodox, though his doctrine of the incarnation was heretical. He taught that Christ’s flesh came down from heaven and that Mary simply nourished what was already there. It was a positive move later on that the Mennonites abandoned the doctrine. Another group of Anabaptists emerged called the Spiritualists or the Rationalists. Casper Schwenckfeld (c. 1489-1561) proposed a middle road between Lutheranism and the Roman church. His ideas, though, were not bound by Scripture, but by the Holy Spirit, who, as he taught, was bound to nothing (not the church nor the Scriptures) and could act in any way He desired. Men must gain an “inspiration” from the Holy Spirit in order to be personally led by Him. Sebastian Franck (c. 1499-1542) was first influenced by Erasmus but then later agreed with Schwenckfeld and carried his views to a logical conclusion. The written Word was not useful and the Holy Spirit acted as the mediation to guidance in life. Further spiritualist tendencies are seen in George Fox (c. 1624-1691) the father of the Quakers, who trusted in the inner light to save them and to be guided in the Christian walk. Movements such as these gave birth to heretics such as Michael Servetus (c. 1511-1553) and Faustus Socinus (c. 1539-1604) where anti-trinitarianism came to the foreground. In the continuation of theological stances, Phillip Melancthon continued the Lutheran tradition where John Calvin can be said to have founded the Reformed tradition (where Zwingli simply began it). 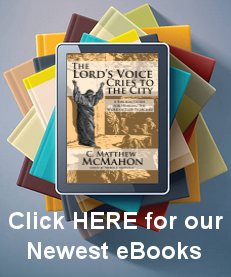 The development of theology for the Lutherans became less Luther’s and more Melancthon’s. Various controversies during this time pressed the need for a single confession called the Formula of Concord. This document was written in 1577 and most of the Lutheran churches rallied around it. Melancthon joined the faculty at Wittenberg in 1518, just as the Reformation began. His gifts revolved around being a systematizer of Lutheran theology and as a systematic thinker. He published the Loci communes rerum theologicarum (Basic Theological Themes) which was the first systematization of Protestant ideas. It went through several revisions and became known as the Loci. At first, the Loci was not much different than Luther’s theology. In the later revisions Melancthon departed from a great number of Luther’s teachings, including predestination. He believed that men had a free will and that they could come to Christ apart from grace. God only draws those who are willing to be drawn to be saved. Melancthon even became more astoundingly timid as an integral part of the Lutheran reformation since he gave into so many concessions to Catholic Doctrine at the Augsburg Interim. Various controversies emerged during this time between the Lutherans. John Agricola wrote against Melancthon proposing “antinomian” sentiments against a work that Luther asked Melancthon to write. Melancthon wrote that the Decalogue should be preached often, so that Christians could know what the will of God was, and how to repent. Agricola despised this and thought it wrong to preach the law, and as a result lost his position at Wittenberg as a result. This ended in a compromise, but later Agricola came back to Wittenberg and wrote against both Luther and Melancthon on the issue. He did not believe the preaching of the law could bring about repentance, but that it was wholly a work of the Holy Spirit. The antinomian position was finally rejected officially in 1577 by the Formula of Concord. Matthias Flacius (c. 1520-1575) has been said to be the best second generation Lutheran. He was a staunch defender of Luther’s works against the innovations of Melancthon and others and set theological overtones for the reception of the Formula of Concord. He wrote vigorously against the mystic Osiander believing him to be propagating antinomianism, which he was. The Formula of Concord was helpful in that it guarded against some of the generalists and errors of the Augsburg Confession and adhered to strict Lutheranism. The greatest controversy of the day was between the Reformed view of the Eucharist proposed by Zwingli, and the Lutheran view which followed Luther’s consubstantiation. Joachim Westphal wrote vigorously against the “Reformed view” (a term he used to describe the sacramental theology of the Swiss church under Calvin) and was answered by Calvin. Westphal called the Zwinglians “crass sacramentarians” for denying the real presence, and called the Calvinists “subtle sacramentarians.” The controversy also extended into the city of Heidelberg where Tilmann Hesshusen had a controversy with Wilhelm Klebitz. Ultimately, the city was taken by Calvinistic doctrine and the Heidelberg Catechism of 1563, written by Reformed theologians Zacharias Ursinus and Caspar Olevianus, which demonstrated a thoroughly Calvinistic doctrine of the sacraments. Practically completed in 1577 the Formula of Concord can be credited for ending many of the small controversies that arose among the Lutheran theologians. Some minor revisions were made in 1580, but it was signed by 8,188 theologians and ministers, as well as by 51 princes and lesser lords, and 35 cities. It was published together with the Apostle’s Creed, the Nicene Creed, and the Athansian Creed, as well as the Augsburg Confession, and has become known as the Book of Concord.